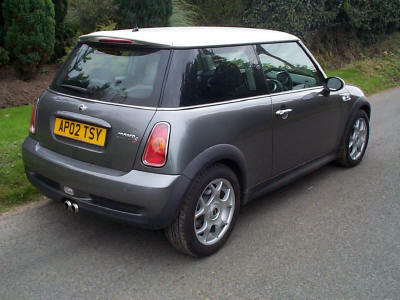 BMW only do a small range of colours for the BMW MINI. Not all customers are happy with this restricted range. We are in the business of giving the customer exactly what he or she wants. 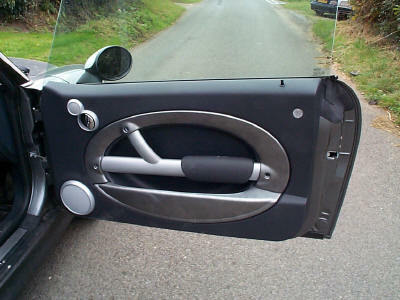 As such we are happy to repaint your car whatever colour you need. 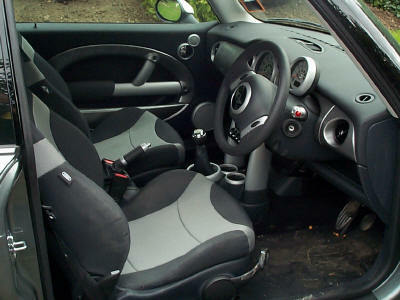 We have carried out many such jobs in the past, some of which have been on brand new cars as with the car below, and some of which have been promotional vehicles for Large Companies. 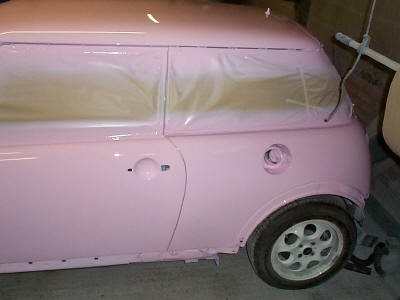 Heidi wanted a Pink MINI - we made sure she got what she wanted. 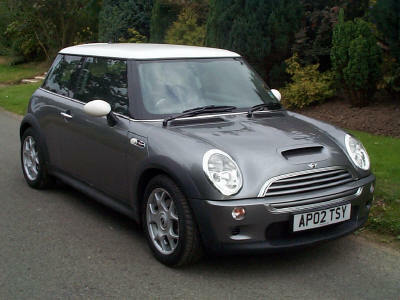 When this Cooper S arrived it was brand new and in pretty perfect condition. First job was to chemically clean it and then strip the car. Next the entire shell is sanded ready to be painted. 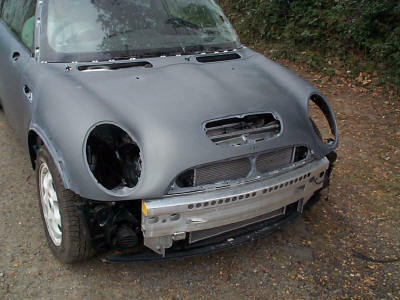 The car is then masked and painted. But that's not the end of it - we still have all the aprons, skirts, and arches to do - oh and all the interior! We are not even half way there on this car! 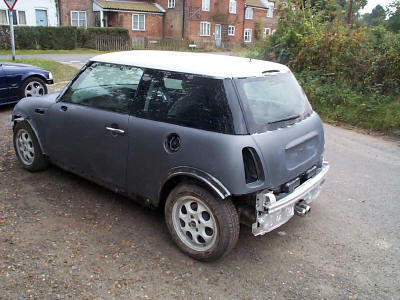 Full details concerning the correct preparation and painting of the MINI plastics can be found on the R53 colour coding pages or by clicking here. 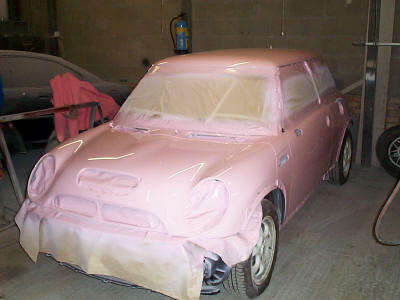 It takes us around 13 hours to paint the plastics for the outside and slightly more for the interior pieces. Preparation procedure is fairly similar. First we reassemble the interior and then the exterior - this job is far far more than just a re-spray of the outer car, as you can see both the interior and exterior plastics have all been painted as the customer requested. This Bright Pink MINI is definitely not to everyone's taste - but it is exactly what the customer wanted, and it does show haw far from BMW's colour scheme we can go!